This is the sixth story in Season 4. Only two episodes exist in the archive, though the other two have been animated. This could be considered a sequel to The Tenth Planet. Ben Jackson is a Merchant Seaman from 1966. He is a working-class cockney. He took some time to accept that the Doctor was still the Doctor after he regenerated. 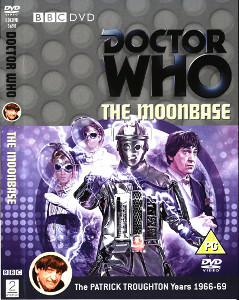 The Cybermen originally came from the planet Mondas, a twin planet to Earth. The planet somehow left its orbit, travelling into deep space. In order to survive its people started replacing their body parts with cybernetics. Eventually they became more machine than man, removing their emotions. Now much stronger than humans they seek only to survive and convert human beings into more Cybermen. In The Tenth Planet Mondas returned to the Solar System and the Doctor, Ben, and Polly helped prevent them from taking over the planet. At the end of that story, they - and everyone else - believed that all the Cybermen had been destroyed.